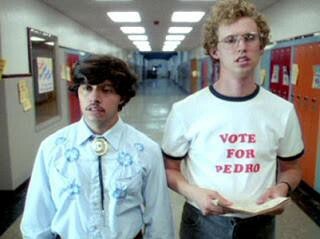 Note: A version of this essay forms the basis of the PeteBrownSays podcast, episode 009: Vote for Pedro. I remember when I first got to graduate school in English in the early 1990s and a massive truth knocked me over like a ton of bricks. And that was…it’s really hard to find new, unique or original things to say about literature. I never really worried about this as an undergrad, when I banged out 5 page papers like gangbusters and never stopped to look back. But once I saw the sheer volume of the ongoing discourse in literature, I was quite literally struck dumb. But I had a decent professor for my Henry James seminar, who likely recognized this deer-in-the-headlights look in his first year students every Fall. And he said that if we could identify an argument, reasonably articulate the different positions held within it, and then say which side you agreed with and why, that was an acceptable paper for a first year grad student. And I liked that approach, because it was sort of connecting up the dots that were out there, and then seeing wha kind of picture emerges. I bring this up because today’ essay treads into some culturally argumentative waters which will see me articulating a position that has not been very popular among friends, family and peers. And I’m not doing this to convince anybody, or to add to the noise and shouting that passes for discourse in America today. Instead, I’m just trying to connect up some dots, and waiting to see what picture emerges. My son is 15, and is browsing around GameStop, playing different demos, checking out new games. Left to his own, he can do this for hours. I’m trying to be a cool dad, to give him some time and space just to poke about the store before we have to head home for dinner. I’m standing in the corner of the store, messing with my phone. I’ve already checked and rechecked my email and text messages, scrolled through Twitter and Instagram, before putting it back in my pocket so I can half heartedly looking through the clearance bin, which seems full of XS t-shirts for M-rated video games, used game discs for the less popular systems, and a handful of minor-character bobbleheads, but which I mean Puddy, the Seinfeld character, who is clearance priced at two bucks, due to what I assume was a serious misread of the Puddy fanbase on behalf of the bobblehead company. Which is a really odd thought for me, a 46-year-old man with no predilection (and certainly no need) for any bobbleheads in my life, to have. I liked the film, don’t get me wrong, but not in such a way that I’d ever bought any merch to punctuate my affection for it. I suppose I thought I could have Pedro bobbling his head in my cubicle at work, and I give it a poke every now and again for luck, and that seems like it’s worth two bucks, right? But then I pause, on that mental image of Pedro bobbling his head in my cubicle, and I think of myself, a 45-year-old white guy with plenty of direct reports, setting a 4-inch bobblehead of hispanic Pedro with his pencil-thin mustache on it, and well, it makes feel a bit uncomfortable, and this unique discomfort is a feeling I’ve learned to pay attention to in my life. I was in high school in the 1980’s when Saturday Night Live’s Eddie Murphy brought the character of Buckwheat — from Little Rascal’s shorts of the 30s and 40s — back into our culture with a series of popular skits that had Buckwheat releasing a solo album of songs, branding his own line of blue jeans, and ultimately being assassinated on live television. When I summarize it like this, it doesn’t seem like it would be funny. But at the time it did seem funny, in part, because I think prompted us to collectively look back at how weird and possibly offensive the Buckwheat character was in those original shorts. As a quick aside, I should mention that I, like many of my contemporaries had heard a rumor that the Little Rascals no longer aired on TV because comedian Bill Cosby bought the rights to them and refused to let them air specifically because of the portrayal of Buckwheat. Snopes.com tells me that this turns out to be untrue, and it seems odd that it took me 30 years to learn this. But back in the 80s, in high school, I had somehow acquired a Buckwheat watch. I suspect I bought it for myself at Spencer Gifts at the mall in the hopes of appearing hip at school, but I also have a nagging suspicion the watch may have belonged to my sister, and I may have ‘borrowed it’. Borrowed being in quotation marks. Note: An adept listener to the podcast pointed me to an image of the watch, and it’s twice as terrible as I remember it. Frickin’ Spencer Gifts, man. The watch, though, was something else. It wasn’t simply a watch with a cartoon picture of Buckwheat on its face. Instead, it was full-color plastic molding of Buckwheat’s head, and the face lifted up pop-the-hood style to reveal a small digital readout underneath. So basically, I went to school one day with the plastic-molded head of an African-American child TV character on my wrist, and didn’t have the slightest sense that this might be a problem. By second period, it was a problem. Mr. G — shook his head slowly from side to side, and that feeling began to form in my stomach, one that was just starting to suspect that just because a thing was on TV, or sold at the mall at Spencer Gifts, didn’t automatically mean it was all right to wear around. And that there is always a gap between your intent in supporting a symbol and its effect on other people, and that your intentions, no matter how innocent, do very little to mitigate this impact. I took the watch off. Just as I set the Pedro bobblehead down. Because I believe if you’ve got a funny feeling that something on some level might be racist, you’re probably better off erring on the side of caution. I had this same feeling during the NBA playoffs last year, when the Cleveland Cavaliers were playing the Toronto Raptors. 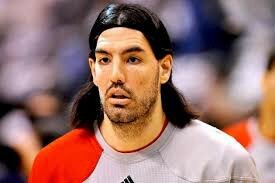 At the time, Toronto had a serviceable but journeyman forward named Luis Scola, who was from Argentina. I believe he plays for the Brooklyn Nets now. 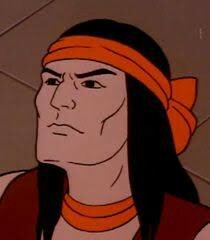 I’m watching this game at a chicken wing place with my friends, and I see Scola and immediately I think: he’s a dead ringer for Apache Chief. Buckle up, people. Here we go. One of the most popular cartoons of my 1970’s early childhood was the Superfriends, which featured the expected cast of Superman, Wonder Woman, Batman and Robin and Aquaman, and in later seasons, Flash, Hawkman and Green Lantern. It’s hard to describe, in today’s world of entertainment on-demand, what is what like to see your comic book heroes moving and talking on TV, even if their animated adventures seemed pretty lame, because at that time, they chose not to show any of the Superfriends throwing punches at bad guys. Most of the time they were busting up meteorites or banishing invaders to alternate dimensions. Pretty standard stuff. And pretty white, too, by the way. The whole crew. They were white as a Republican working committee on entitlement reform. No explanation was ever given for this sudden influx of characters on the show. What’s more, none of them ever appeared in the comics. They were created by Hannah Barbara and not DC itself. And shortly after the show ended, they were by and large forgotten except for the hidden corners of Gen X memories like mine. 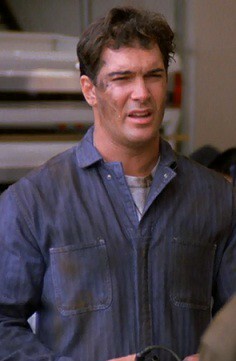 So I’m watching the game and it strikes me that Scola and Apache Chief could be the same person. I pull out my phone and think about tweeting this out, maybe making a side-by-side photo for emphasis. But the I started to get that feeling. The one that says this joke is wandering off somewhere you don’t fully understand. I checked with my also-white buddies and we concurred that it was best to let this one lie. What’s interesting to me about it, however, is that in 1981, the Superfriends were trying to celebrate diversity. I imagine that was a pretty bold step for the franchise to take. But in hindsight, we see that the diversity they offered was based on every cultural stereotype of each of the new characters. And to the extent that any character on the show had dimensionality, these new additions were paper thin. I don’t know any Native Americans. I have a few friends who tell me things like they have 1/64th native American blood, but I honestly don’t know who I could ask about this, or even, really the question I’m trying to articulate. Which I think is, what is the character’s modern relevance and is it all impacted by the original intent of its creators. And there it is again: intent versus impact, or, to muck it up a bit, intent versus demonstrating respect, and the relationship between those things. Because for me, as well intentioned as the Superfriends were in creating Apache Chief, he was a collection of stereotypes, and were I to resurface him in today’s forum — on Twitter — in some way, I think I’d be saying those stereotypes are OK just because it was a long time ago and he was created with the best of intentions. And that math doesn’t work out for me. Apache Chief would never be portrayed as he is in today’s world, and if my bringing him back up on Twitter somehow implies that he’s OK, I’ll go ahead an take a pass. Because no matter how much Luis Scola looks like Apache Chief, and I cannot stress again how much this is so, there are other jokes to be made that don’t run the risk of disrespecting an entire culture. This is why I stopped wearing Chief Wahoo-emlazoned gear of my beloved Cleveland Indians more than twenty years ago, a decision I share with some trepidation even now, given so many of my friends and family members support the Tribe with all their heart and their merch. Not one of them, do I believe, dons their gear with the intention of being offensive. But intention, as I’ve found, does not mitigate the impact of this choice on Native Americans, many of whom have stated their preference to not have their cultural idiom co-opted for the benefit of someone else’s sports team. I know, I know. It’s more complicated than that, you may say. Plenty of Native Americans take no offense to these logos. We wear to support the team! Nobody is trying to be offensive! (Although I’m not sure about shirtless-white-frat-bro in a full head dress and face paint, whom I’ve seen different versions of at every game I’ve been to over the past few years. I mean, you could literally just put a picture of that guy next to ‘cultural misappropriation’ in the dictionary; see also white privilege). Trust me, I know it’s complicated to love and hate the same thing at the same time. (Here, I’m passing on a joke comparing it to marriage; OK, I guess technically telling you abut the joke is tantamount to telling the joke itself, so I guess I better own that). But the thing is, like marriage, I’m neck deep in it myself. I live the dilemma everyday, because I love the Tribe in ways that are almost holy. When I made my first communion in second grade, my gift from my family was an Indians jersey and a new ball glove, and I can’t count the times my Dad and I sat in an abandoned right field seats in cavernous old Municipal Stadium watching some truly awful teams in the late 1970s and early 1980s. And when I was in the Peace Corps in the 90s, I brought with me at least a dozen Chief Wahoo baseball caps and gave them out as gifts — this was before my logic had arrived at its current position, obviously. And should we ever win the World Series — good god we’ve been so close — should we ever win it all in my lifetime, I guarantee I will be broken down in tears, blubbering like an idiot, . So I find myself trying to convince myself that I can love the team and not the mascot. I mean, I hear Christians saying love the sinner, hate the sin all the time, right. But does that same logic apply? 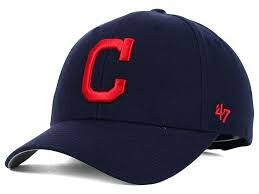 Does wearing the simple Block C hat instead of Chief Wahoo really represent the position I support? Can I have it both ways and still be OK? This is the hat I wear to support Cleveland’s baseball team. Probably not —because it’s the same team gets my money, whether or not it has been exchanged for something emblazoned with a red letter C or an awful Native American caricature. And even as I try to write about this, a process that has always helped me clarify my thoughts, I find myself repeating justification after justification, layering on complexity where it doesn’t belong, as if one magic thought might magically emerge that makes everything OK. I know I’ve made a bit of trade-off here, a deal with the devil, if you will, and its made the ground beneath me a bit unsure. And, before we go, `we should also note that the Indians had a man who was believed to be the first Native American ballplayer in Louis Sockalexis, from which the team’s nickname emerged! Plus, as you’ll here around and about the 216, everybody is doing it! The whole town! I mean, how can it be wrong if everybody’s doing it? And those things may be true for some people. They may be enough to swing the math their way, but as for me, I‘m going to err on the side of caution. I’m learning to listen to that funny feeling. And when I do that, those arguments sound more and more like someone trying hard to convince themselves of something that deep down, they know isn’t true. Because for me, it comes down to this: If you’re choosing to wear Native American mascots and gear, what you are saying is that your need to cheer for your team in this very specific way is more important than your need to be respectful of a culture that prefers not to be characterized — as in made into an actual character — and have their cultural identity taken from them and emblazoned on hats and shirts to the benefit of a dominative culture that’s insisting that this is all A-OK. When I do that math, Chief Wahoo loses out every time. Your intent in donning his garb does not mitigate the impact it has in our world. Whether you want to admit it or not, you are choosing to do something that another culture of your fellow human beings finds pretty disrespectful and crumby. And that’s a lousy thing to do. So I wish, I wish, I wish. Here’s what I wish. I wish the team would retire their name and mascot. I do. I wish they’d donate these things — gear and signage and IP — to Cleveand’s various museums of local history, places where they can be understood in the proper context. I wish they’d erect a statue of Louis Sockalexis outside the ballpark and note his place in the team’s history, and how the team came to have its name because of him. And I wish that Cleveland, the progressive city that I grew up in, the progressive city that I believe it to be, would embrace this change, would go all in on selecting a new team name and identity, would be one of the first professional-level teams to say Hey, this was our team name for a hundred years, but times have changes and its time to move on to something new. And if it were up to me, I’d leave the renaming of the team to all of the second graders in Cleveland area schools, the 7- and 8-year-olds, which is how old I was when I made my first communion, stepping that day into the light of a greater faith. A faith born of dust and leather and the crack of the bat, a home team to root for, the promise of summer and beautiful Saturday afternoons with just enough time to play two. So…maybe it is few pretty giant steps from the Pedro bobblehead to Luis Scola to Apache Chief to Chief Wahoo, but when you connect dot to dot to dot, sometimes the most unusual pictures emerge. And it is in these pictures that we may learn something about ourselves, in all of our complicated glory.